The Quail Creek Pickleball Club supports and encourages Skill-Level Round Robins. These round robins improve play and are great fun! Club-sponsored Skill-Level Round Robins are open to any Club member meeting the skill requirements. As in the past, these events are run with random, rotating partners. Skill-Level Play is scheduled outside of Prime Time Hours. b. have participated in a pickleball tournament published on pickleballtournaments.com with results showing competitive play at the appropriate skill-level. 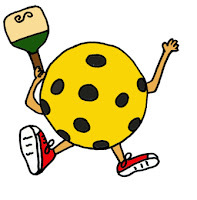 Club-sponsored Skill-Level Round Robins and their organizers will be listed on the QC Pickleball Club website. Any Club member meeting the skill criteria may ask the Skill-Level Round Robin organizer to be included. Sign-ups will be made on Sign-Up Genius on a first-come, first-served basis. If there are not enough Club members at a particular skill level to practically conduct a round robin, guests (non-QC) may be invited. However, there must be at least one Club member for every four guests. Any Club member may organize a Club-sponsored Skill-Level Round Robin by completing and submitting for approval the Application for QCPC Skill-Level Round Robin (click here to see the application on QCPC website). The link to this application is on the right side of the website under Club Resources. 1. Reservations may now be made on the 1/2 hour. Prime Season is now defined as October through April. Courts 1/2/3/4/13/14 are reservable courts. Limit of 2 courts for 2 hours per private group reservation during Prime Time. Non-QC guest limit is 1 QC member to 4 Non-QC members at all times, for all court reservations. 3. If the Club Open Play courts aren’t all being used and if other courts are full, then Quail Creek residents and guests may use the open Club Open Play courts. Assisted Play is for beginners who have either taken a lesson or who have some playing experience. It is not a lesson, but more experienced players will watch beginners play and give pointers for improvement. You need to sign-up to attend. 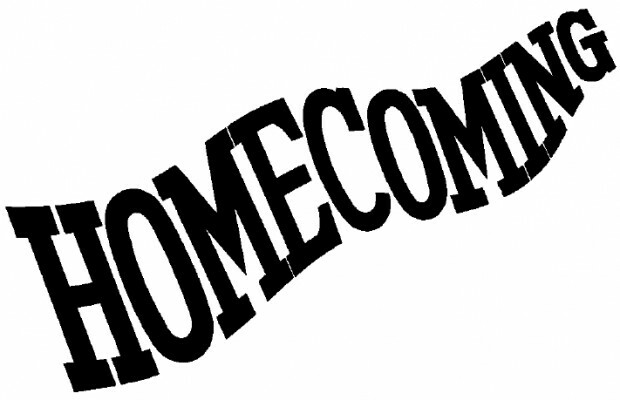 Click here to sign up for Oct. 10 (6 PM), Oct. 11 (10 AM) or Oct. 12 (10 AM). Click on Sign-up and then Submit and Sign-up at the bottom of the page. You will need to either login or to create an account in Sign-Up Genius. Then click on Sign-up. You will receive a confirmation of your sign-up via e-mail. Drills for 2.5 Players- Tuesday, Oct. 9, 10 - 11:30 AM, Courts 5-8. The clinic will have drills that work on keeping your shots low, moving with your partner, and communication. Sign up here. Drills for 3.0 Players- Thursday, Oct. 11, 1-2:15 PM, Courts 5-8. Sign up here. Come & have some fun & improve your pickleball skills. Sign up here. Drills for 3.5 Players- Thursday, Oct. 11, 3-4:30 PM, Courts 5-8. Sign up here. What’s my rating? A question asked by every pickleball player. QCPC offers the opportunity to obtain a skill rating through the International Pickleball Teaching Professional Association (IPTPA) Program. Our first rating sessions of the season will be Monday October 22. Our local Certified Rating Specialist (CRS) Sean Rickard will be here to administer the ratings. We must have four (4) people going for the same rating in each session. You can be tested for 2.5, 3.0, 3.5 or 4.0. A description of the skill assessment for each skill level can be found on the IPTPA website (https://iptpa.com/iptpa-rating-skills-assessment/). If you are a club member and this is your first time being rated, cost is $15 for a 3-year membership. You must join IPTPA. There are no additional fees. If interested, sign up here . If you have questions, contact Jean Bustard at jeanb@dcmesa.com. This is a Class for advanced beginners and intermediate players. Are you stuck in a Pickleball rut and want to be more competitive on the court? This is a 3-week course where you will learn the strategies, shot selection, and court position in order to play smart pickleball. You will also learn how to execute the different shots needed to advance your game. For this course you must be an advanced beginner (2.5) or an intermediate (3.0) player. Meet once a week for 3 weeks, 2 hours each week. Maximum class size is 16; minimum class size is 4. REGISTER: 8:30 AM at the courts/ramada to play at 9:00–11:00 AM – All levels welcome! 56 player slots max. POT-LUCK LUNCH: 11 AM at the court ramada. Members are being asked to bring sides. Various types of sub sandwiches will be provided. Bring your own drink if you want something other than lemonade or apple cider. SIGN UP: Click here to sign-up to play, not play but attend, make potluck choices, then click “submit & sign up”. You will need to login to Sign-Up Genius or set up an account if you don't have one. Once you sign-up, you will receive an e-mail verification of your sign up, play or attend only, and food selections. If you need to cancel your registration, go back into Sign Up Genius, deleting each place for which you’ve signed up. If all play spots are filled when you attempt to sign up, check back often for cancellations. SEE YA THERE! Each month we will have a theme that will be emphasized in the clinics. October is Ready Position. Pickleball is a fast paced game. The faster you are ready to return a ball, the better chance you have of making a good shot. Your paddle should be ready BEFORE your opponent hits the ball. Get into Ready Position quickly after every stroke. In Ready Position paddle is up and in front of you, feet shoulder width apart, knees bent and weight on your toes. Get into Ready Position quickly after every stroke. To see proper Ready Position, click here.